What is Dungeon Kingdom: Sign of the Moon? Dungeon Kingdom is a role playing video game, designed with old-school style dungeon crawlers in mind! You’ll meet dreadful creatures, find treasures, solve puzzles, explore dark, damp dungeons or lose yourself in snowy and windy mountains! What is Dungeon Kingdom: The Underground Aberration? Dungeon Kingdom: The underground Aberration is a role playing video game, designed with old-school style dungeon crawlers in mind! The major difference with Sign of the Moon is the target platform: DK:TUA is designed to be as a Virtual Reality (VR) game. Will you love playing Dungeon Kingdom games? If you enjoyed great games such as Dungeon Master, Ishar, Eye of the Beholder, Elder Scrolls, Black Crypt, Might and Magic and many other Dungeon Crawlers and RPG games of the past, this is a game you’ll love! In More general terms, if you love adventure, exploring dungeons, heroic fantasy and puzzle solving, this game is made for you! What platforms will Dungeon Kingdom be released on? -Dungeon Kingdom: Sign of the Moon was designed from the very beginning to run on both desktop computers and Mobile/Tablets devices. Initially, it will release on PC, Mac, Linux systems. Android, iOS, Windows Phone and Virtual Reality versions will follow after the full release. -Dungeon Kingdom: The Underground Aberration VR game will require HTC Vive VR headset or Oculus (with Touch controllers), but streaming to mobile devices is also planned in a later update. When will Dungeon Kingdom be released? Early Access for Dungeon Kingdom is available! The whole content is planned to be released before Christmas 2018 and full release, including global balancing, is planned for Q1 2019. We don’t want to sacrifice any features or rendering quality, so we are taking our time! The Desktop version will be available first, then mobile and VR port. Looks very promising. Good luck! I’ll be looking forward to release. This game’s definitely looking great. Reading this page, I’m happy to be helping out with designing and administrating the forum, which can be found at http://forums.dungeonkings-game.com/ BTW. The link should be showing up in the main nav section of this website soon too, so stay tuned. 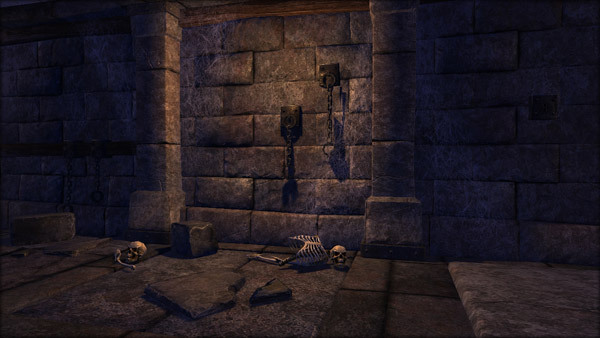 looks real nice, I am a dungeon crawler nut, love those games mentioned. what I’d like to know is if there is a GUI involved. I am not up to speed with 3D yet, still learning. what I am most curious about is whether it is possible for me to screw with the ai via GUI. “Linux”? Shut up and take my money! Other than that , praise your names, your WILL be done. About the doors, this is part of the features ! Hope you will enjoy it ! This looks really promising. I’m especially interested in the PC and Android Versions. As such, will there be any kind of cloud-based game save options? For example, will we be able to save a game on PC and then pick up where we left off on an Android tablet or phone? If this feature won’t be available natively, would you consider putting in a Google Drive or Dropbox backup feature so that we could move the game saves ourselves? Best of luck with this. It looks like it will be a lot of fun to play. Yes that’s exactly what is planned: an option to save your game on our server, and you can download it on another device, and then you can play your with your saved game on that other device. Start on Pc, continue on tablet etc. etc. Then, it’s a day one purchase for me when it gets green lit on Steam. I voted for it on there. What engine are you using ? It looks stunning. We are targeting Christmas for the remaining chapters, and before the end of winter for the final release with global rebalancing. Cheers!